Why the Name Vegan Overcome? | Eat Live to Thrive! So, about the name Vegan Overcome. There is an old song that was sung years ago that went something like, “…We will overcome, we will overcome… someday…..” and that’s about all I remember of it. I think it was heard a lot during the civil rights movement in the mid 1900s by those who were being persecuted because of their skin color. Anyway, when I became a vegetarian, the challenges to remain steadfast in my decision were, well, challenging. Everyone in and around my life were carnivores or omnivores. There was not a single vegetarian in sight. Well, except one; but she lived three hours away. She was 100% RAW VEGAN and about to graduate with her Masters in Health Communications from University of Florida. And, to her credit, she slapped me silly with reality about my declining health. It didn’t take long for her to paint a very dark picture of what was to come if I didn’t change my eating habits. 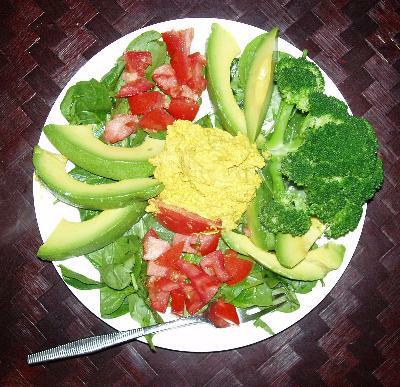 So, being the extreme sort of guy that I am, I went 100% vegetarian overnight – raw vegetarian – VEGAN! To make a long story … longer …. while getting my food fix (I think it was an avocado, tomato, raw humus, and cucumber sandwich on spinach pita bread), I had an epiphany! If I am feeling the desire to want to cheat on my new found eating lifestyle, then others who are working through the challenges of transitioning to a vegetarian diet are bound to be dealing with the same challenges. Thus, Vegan Overcome, as a public Website, was birthed. The inspiration of this website is wonderful. Thank you for sharing your journey in health and fitness. I am starting my road to recovery from ‘fatness’ and am looking forward to the results. This is great! How funny. You crack me up dave.